This terms and condition apply to all who have made booking with Travelsmith Nepal. By asking us to confirm your booking, we will assume that you have read our terms and conditions thoroughly. Both parties will agree to the stated terms and conditions to resolve any dispute that might occur during the process. The ‘trip’ herein refers to any ‘tours’, ‘holiday’, ‘package’, ‘trekking’ that you will buy from us. The booking is not formally confirmed until we send you our final invoice or confirmation email stating confirmation of each service component of the trip. We will send you final confirmation only after we receive the advance of the tour amount (described in Deposit Requirement section). We will accept last minute booking for the organized Nepal tours. However, for the tours in Bhutan and Tibet last minute booking will not be accepted. You will have to make an advance (non-refundable) deposit of 30% of the trip cost at the time of booking the Nepal and Tibet trip. If there is any airfare component in the package such as domestic airfare, mountain flight tickets, you are liable to pay 100% of the airfare and 30% of the trip cost before your arrival. You can pay the remaining tour amount upon your arrival in Kathmandu. However, in the case of Bhutan trip, you will have to make 100% of the Bhutan trip amount before your arrival. The package tours or any services once booked are liable for cancellation charge if canceled for any reason. A notice of cancellation must be sent to our office in writing. Verbal cancellation cannot be entertained. However, no refund shall be made to those clients who drop out from their trip regardless of whatever portions remain or unused in the itinerary. Whilst, no refund shall be made in case the trip is completed less than the stipulated itinerary or duration. Travelsmith Nepal reserve rights of changing programs when we feel necessary for smooth operations or due to unforeseen circumstances like political disturbances, severe weather condition and flight delay/cancellation etc; In case of any alternation, an omission due to reasons beyond our control, we will not be liable for any claims for any unused services. The extra cost incurred for the additional service provided because of the above situations or flight delay/cancellations shall be borne by the clients at the spot. The passenger understands that during the course of the trip, certain risks and dangers may occur, including, but not limited to, the hazards of traveling in mountainous terrain, accident or illness in remote places without medical facilities, and the forces of nature. The passenger agrees to assume all the risk associated and agrees that Travelsmith Nepal will not be held liable for any inherent risks, loss, property damage, accident, personal injury, death, etc. of any nature. There is no insurance coverage on our cost. Hence, it is highly advisable to. Hence for precaution, it is highly advisable to have a Travel Insurance policy from your country before commencing the journey. It should adequately cover and medical assistance, loss of baggage, tour cancellation and helicopter evacuation if necessary. There is a possibility of flight delay due to unpredictable mountain weather which could happen quite often, particularly, in the Everest region (Lukla), Jomsom region and even in normal sectors during winter periods. 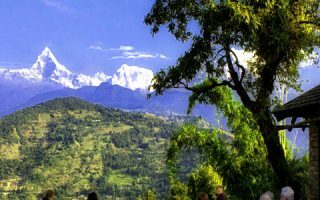 While trekking in the remote areas or in as described above, you are highly advised to reserve some buffer days to prepare with some delays and avoid frustrating consequence. In case of flight cancellation pre-tour/post-tour, the client shall bear all the expenses of the accommodation and food costs for themselves.